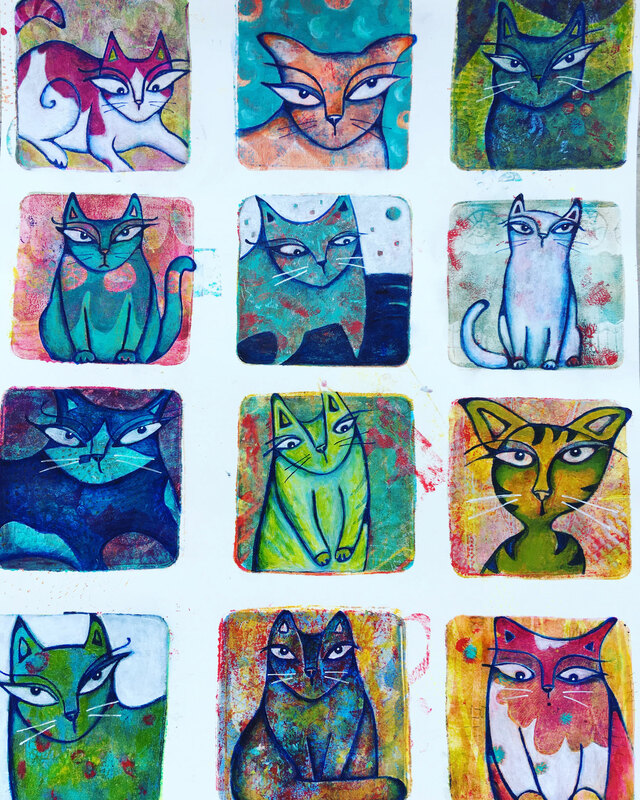 12 Gel Print Kitties Done! 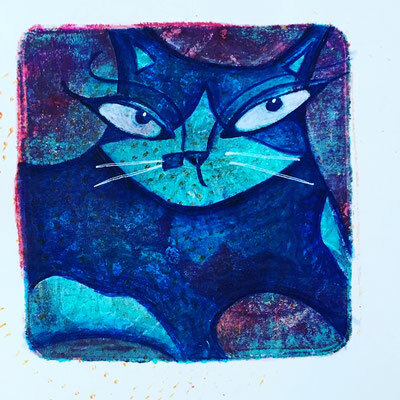 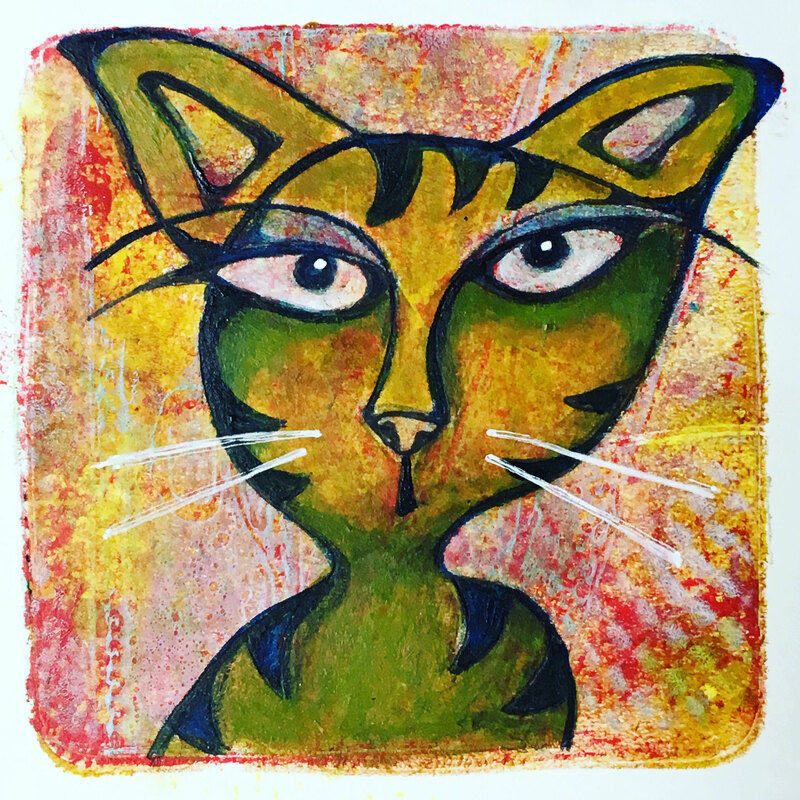 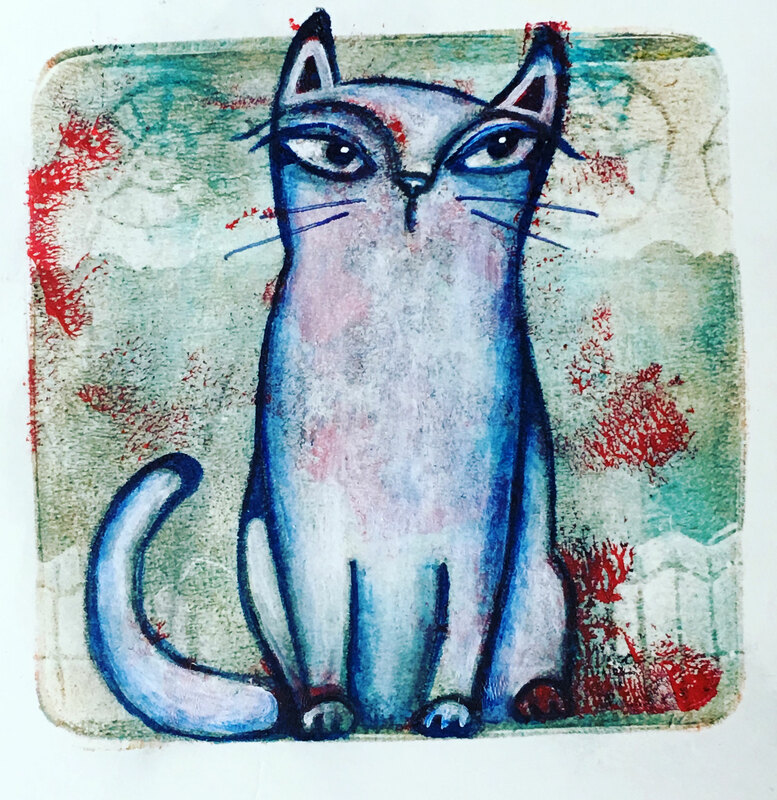 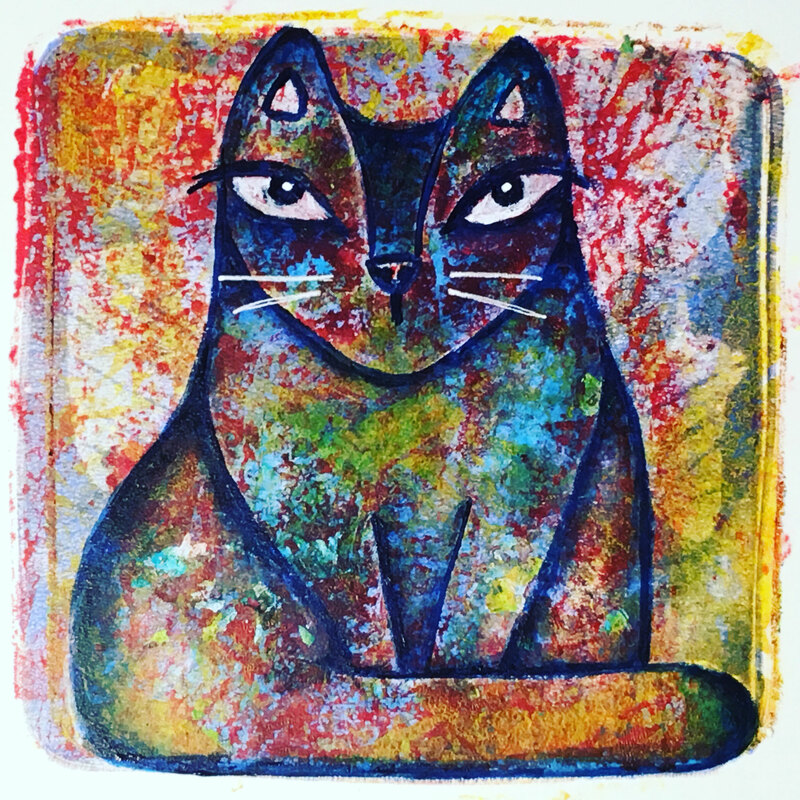 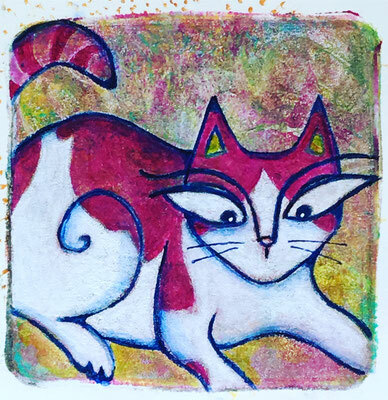 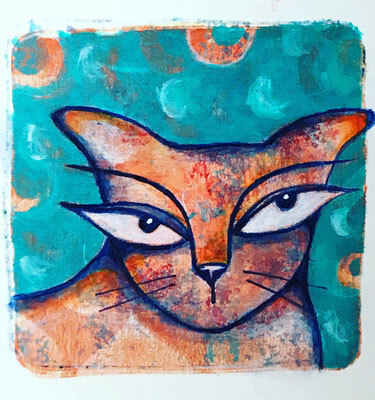 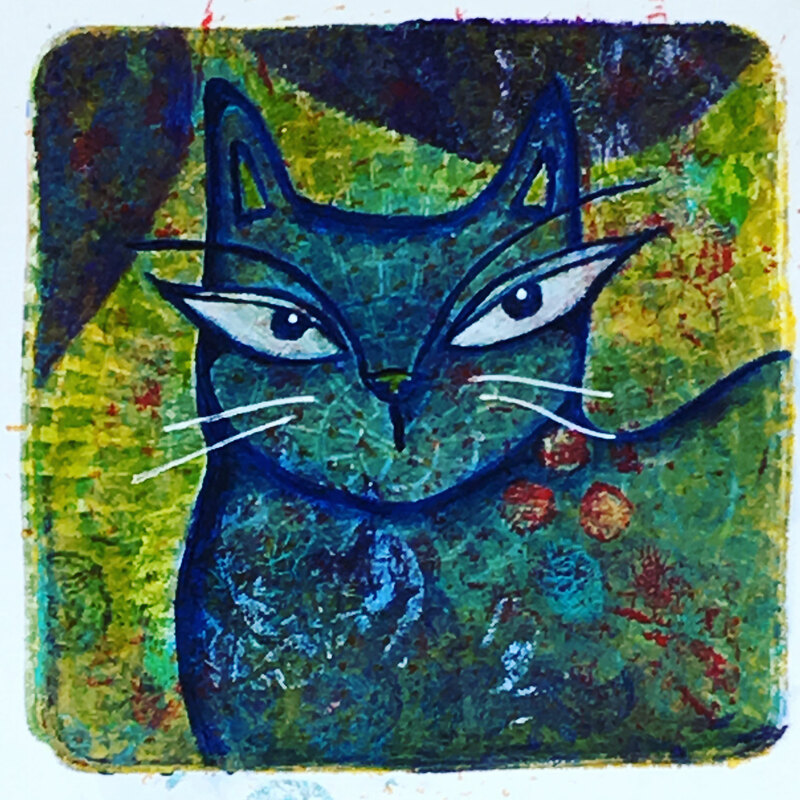 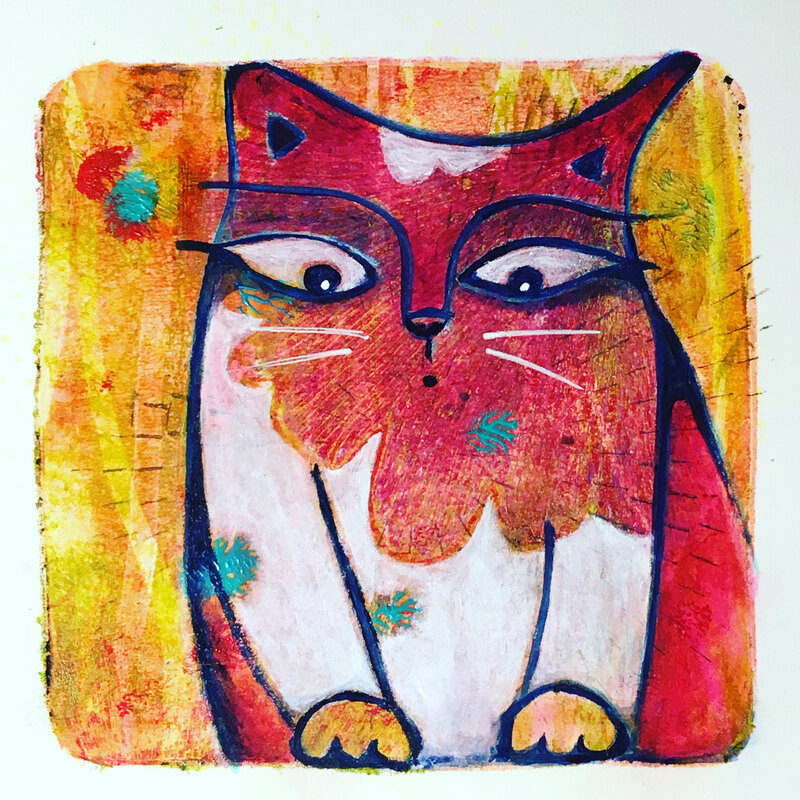 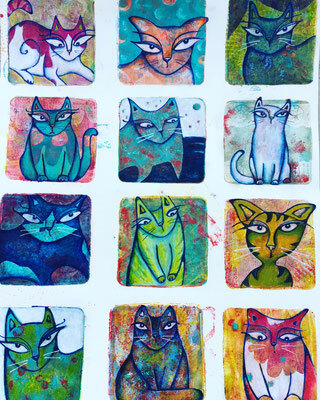 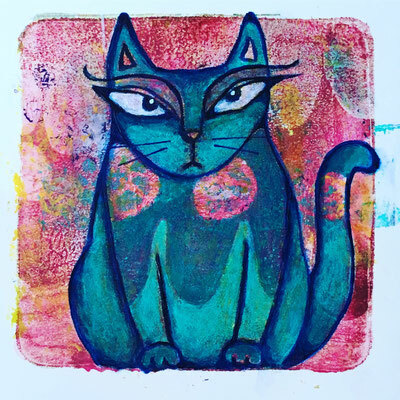 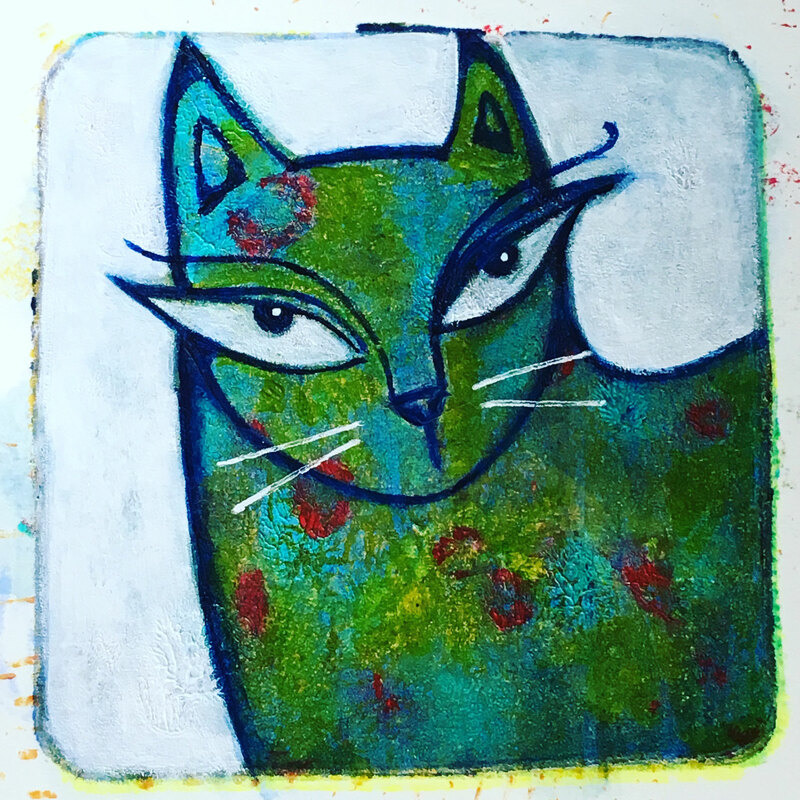 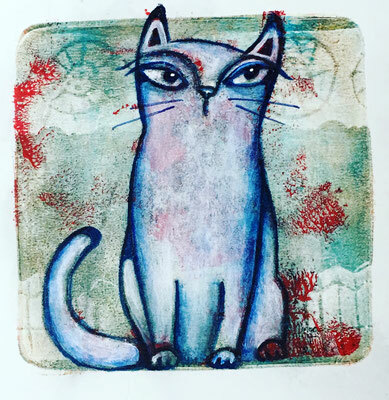 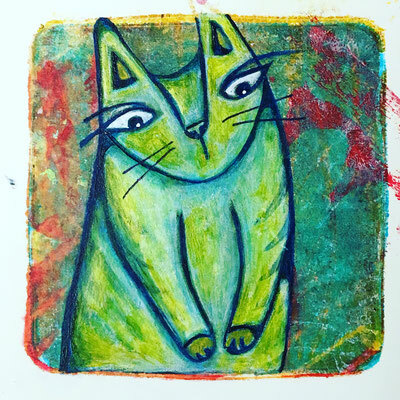 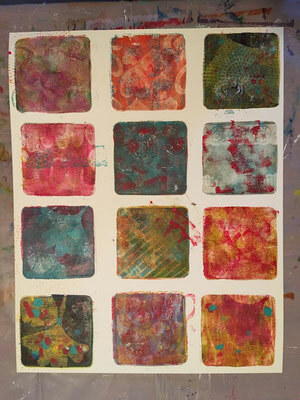 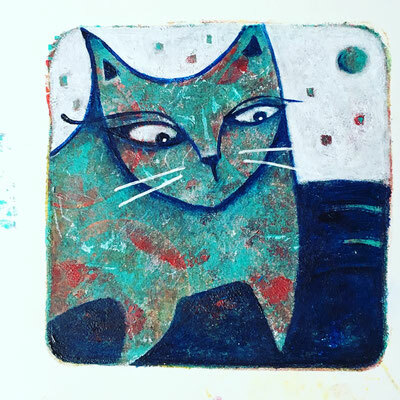 Here's how they began: first layer gel print, couple more layers on top of that, then painted the cats. 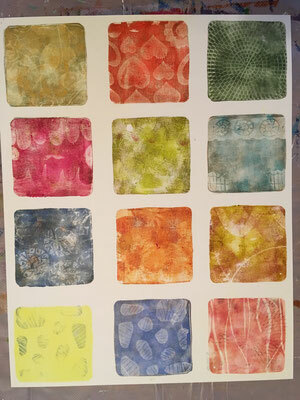 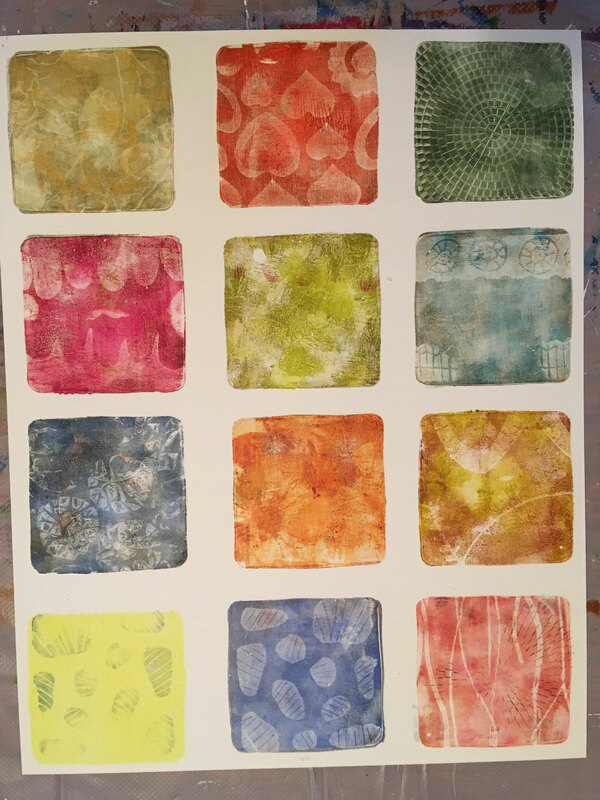 Really fun project and I learned a lot which I will now apply to larger gel prints!